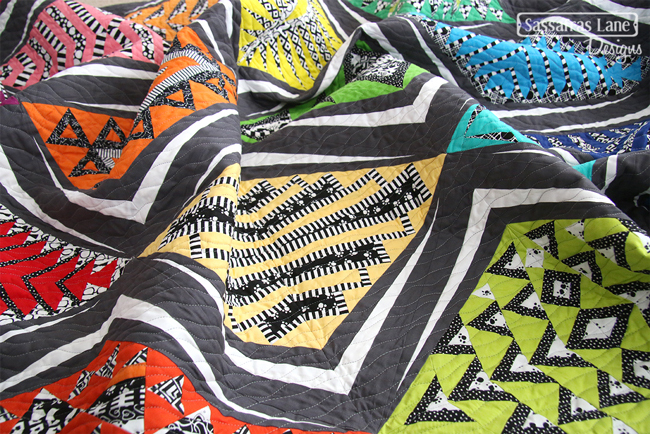 Last but certainly not least is the Empire Place quilt I made using solids and black & white prints. 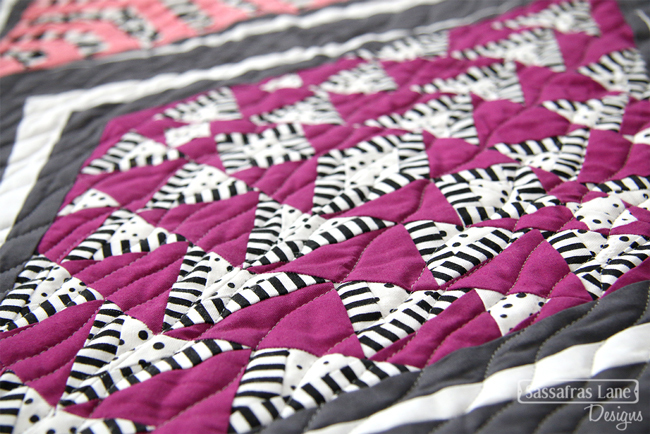 I used Michael Miller's extensive line of Cotton Couture solids and assorted Black & White prints to make this quilt and I love how it turned out! I may have even fussy-cut some little elephants for the center of the Accent blocks. 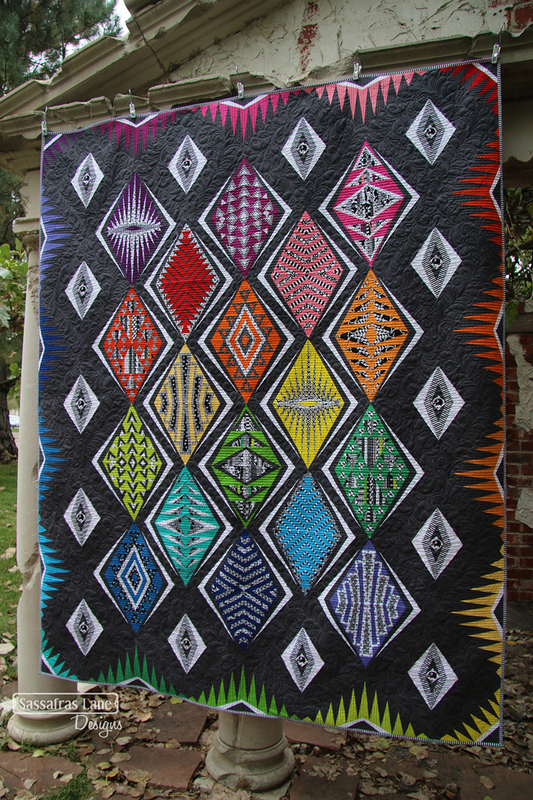 I chose a spectrum of 18 solids and paired them with assorted black and white prints to make this quilt. I used a white solid for the main accent and a charcoal grey for the background. I love how the white radiates around the blocks and draws the eye in. 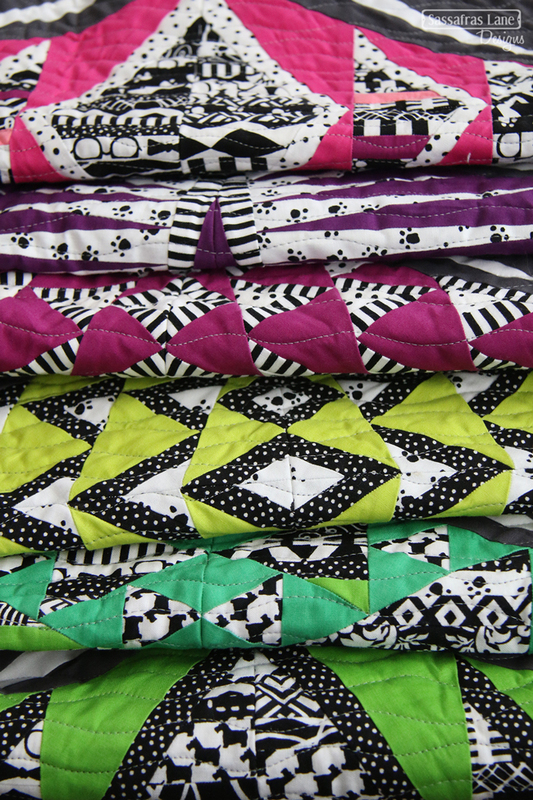 My favorite blocks to sew were the scrappy ones! It was fun to mix a bunch of black & white prints; slightly busy, but fun! 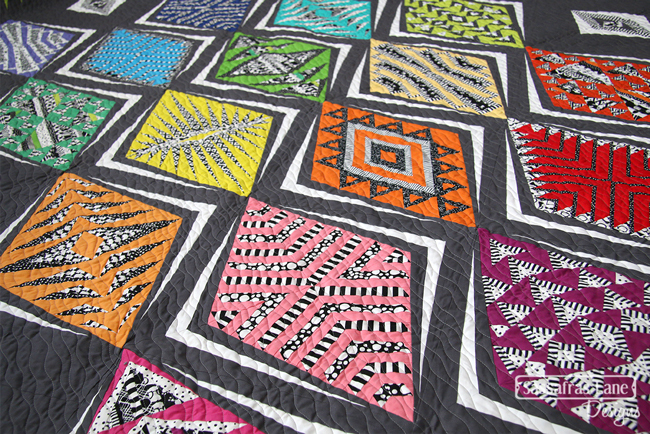 It was a lot of fun to pair black and white prints with a color to create each block. Typically I paired a white-on-black and black-on-white with each color so there was some contrast in the blocks. The Empire Place book is available for purchase here! And don't forget an Empire Place Foundation Paper set! 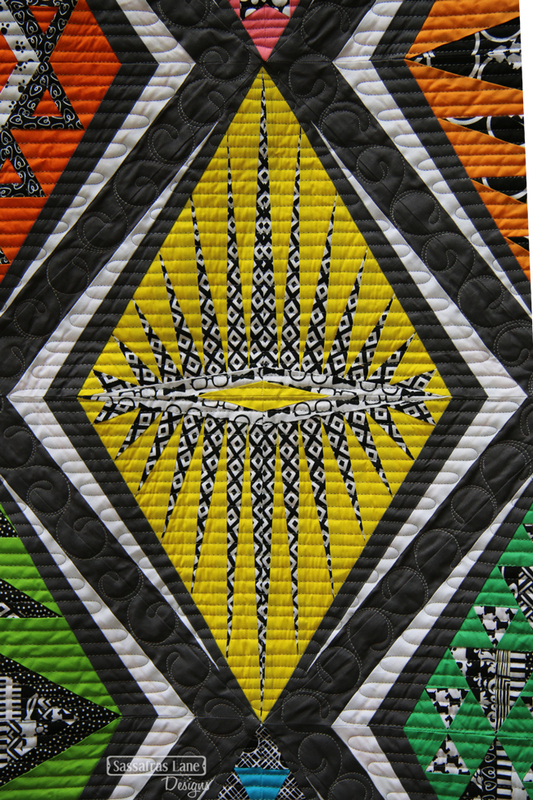 That was our last Empire Place quilt to share. We hope you enjoyed them! Did you have a particular favorite? 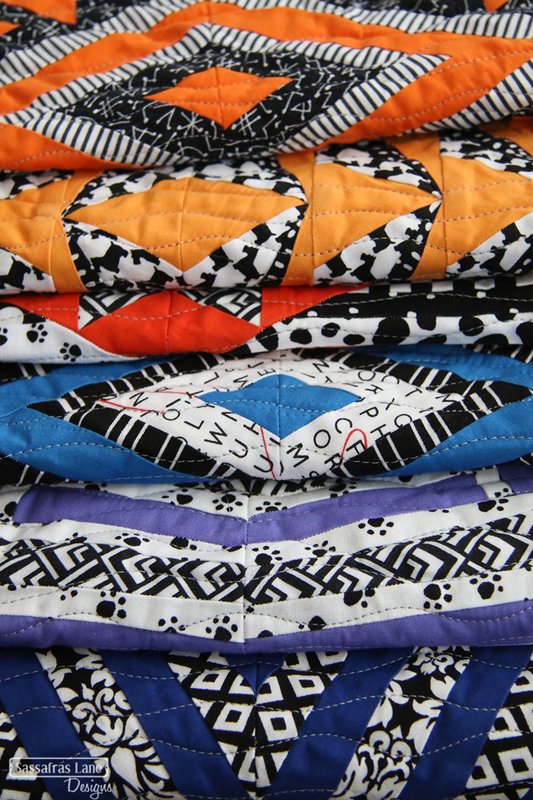 We will be sharing our newer patterns in the upcoming weeks, so check back soon. Happy Sunday! 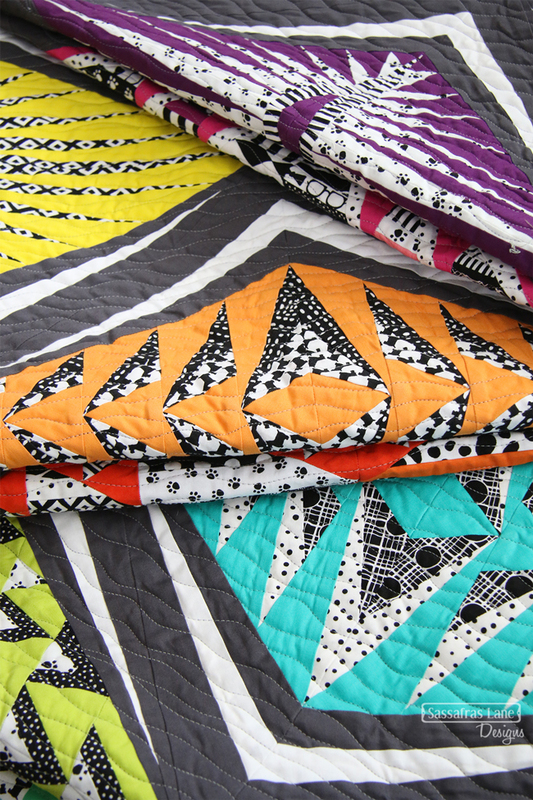 I have SO enjoyed seeing these quilts on the blog and Instagram Shayla! 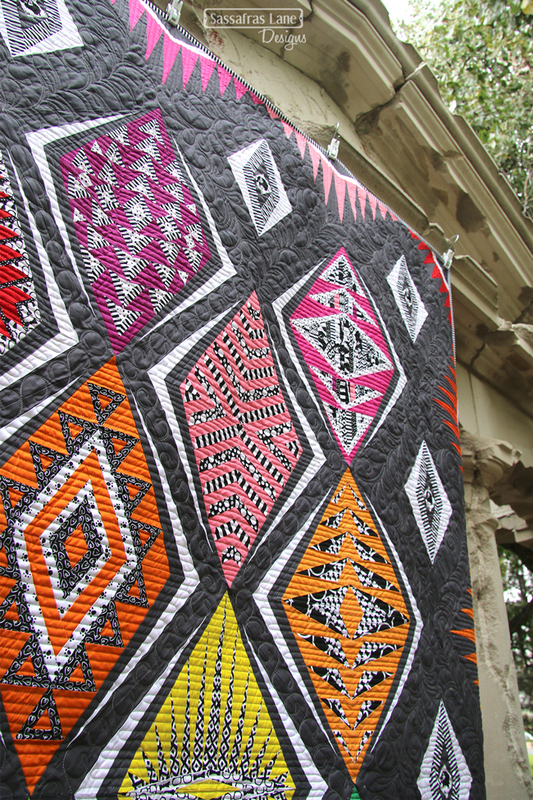 You and Kristy and have an amazing job once again with this year’s pattern – wow! I think this version may be my favorite, but I also loved the lime accents in the previous version. I’m still plugging along on Arcadia, but this one will be next after that for sure! This is stunning! While I love all the versions, this one is my favorite! I adore all the black/white prints! 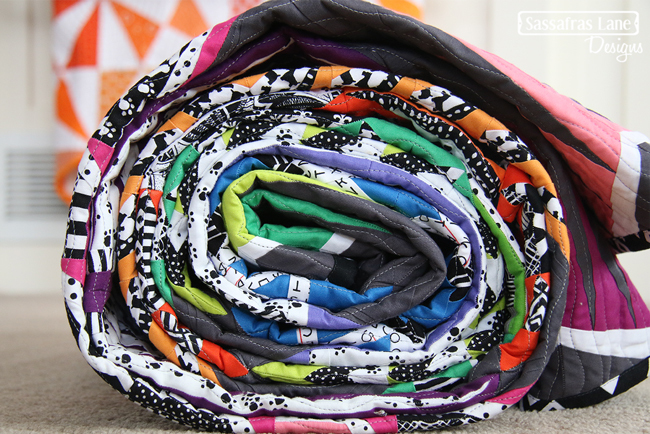 I wonder if it is the colors that make the black/white prints pop, or the black/white prints that make the colors pop?! Super nice job ladies! Thanks for sharing!